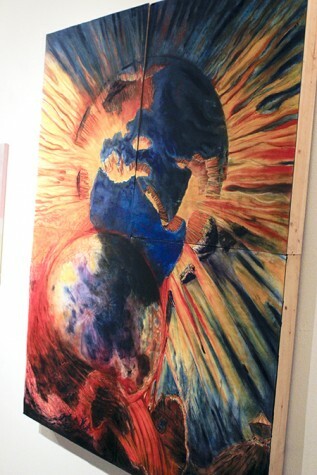 A painting of the Earth blowing up, an art piece that is made out of oak galls and a sculpture of a flea infested with dogs were all art works featured at the American River College student show at E Street Gallery. 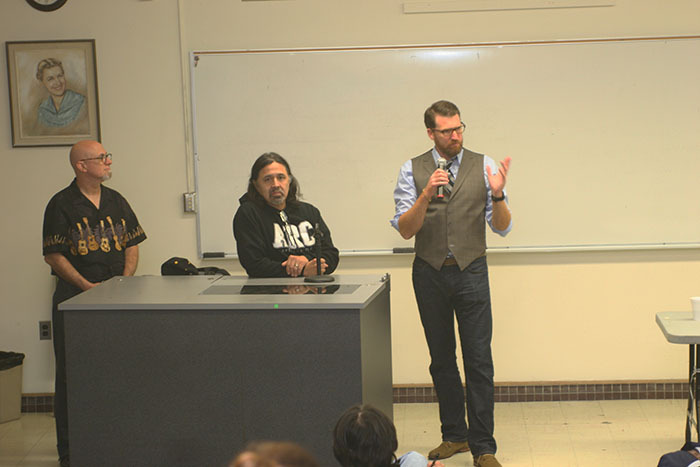 The gallery sent out a letter to artists who were on a mailing list of current and former ARC students. ARC student Neil Putnam’s series of paintings of an exploding Earth looks almost as if they could belong on the covers of graphic novels. While Putnam said that he did not think comic books were an influence on his works, he did mention how he used to draw his own comics as a child and said he recreated drawings of Todd McFarlane, the creator of the Spawn comic book series. Putnam said the act of painting a communication experience between the artist and his canvas. “My Flea Has Dogs” is a sculpture of a flea that has miniature dogs on its back. It was sculpted by Michelle Lutche. 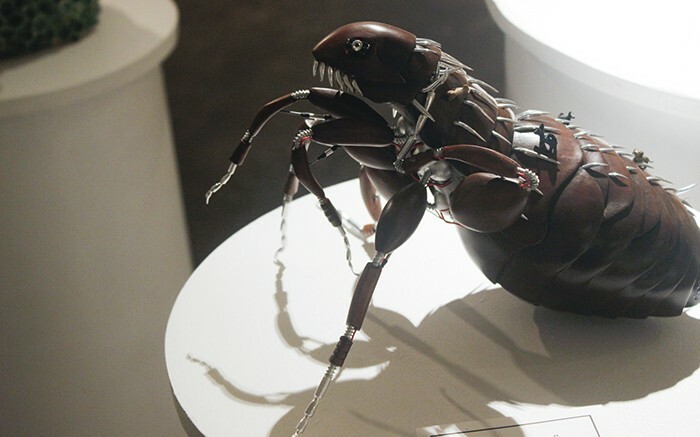 Both the crab and flee sculptures had a mechanical feel. Lutche said that sometimes she would build the sculpture first and then come up with the title, but with “My Flea Has Dogs” it was the reverse. Patricia Wood, who was working at the gallery, said that she was pleasantly surprised that the gallery received as much 3D art this time around. 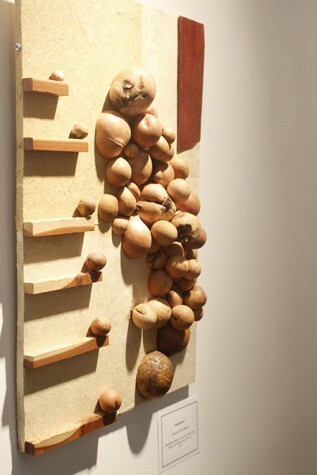 Alexander Clay Harper, the sculptor of “Zen River,” which was made out of oak galls, said that his artwork is mostly inspired by nature. An oak gall is an irregularly shaped growth that can be found on trees, and is caused when wasps inject a growth hormone into the tree. The exhibit will remain open through Oct. 31. Debate: How should Columbus Day be commemorated? Be the first to comment on "E Street Gallery holds ARC student art show"